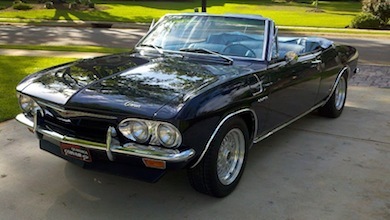 A friend at work is now very interested in Corvairs, and has asked me to help him with his search since he’s never owned a Corvair. I’m so sick of these people selling classic cars with “patina”. 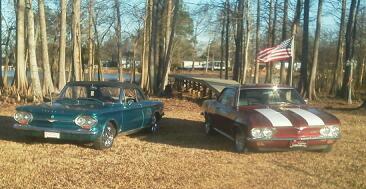 I’ve seen ads and called on 3 different Corvairs over the past 2 weeks. Two of the ads mentioned “patina”. When questioned these two sellers, they mentioned only minor rust. When viewing these Corvairs in person, they were POS rust buckets that wouldn’t be even worth paying for a title transfer, much less paying the outrageous asking price. What I’m finding is that even though you ask extremely detailed questions related to rust, the sellers are not being honest. I have now stopped calling on ads that mentions the 5 letter word “patina”. If the seller mentions this 5 letter word during a phone conversation, I just hand up. Re: OT - Patina Rant! I agree and the people that get a rusted out vehicle running, clear coat over the rust and win a freaking trophy with it makes me sick too! I thought rust was Patina! It looks more interesting to me on 30s-50s vehicles, trucks more than cars. I saw one guy that basically left the body alone and restored the rest, as in new mechanicals, interior and even new chromed bumpers, grills, and wheels, I kind of like his trucks. Most sellers confuse "patina" with "field find"! I enjoy watching "Pickers" on TV, but when they start with that patina BS, I'm like give me a freak'n brake and do it right. I don't get the whole patina thing....it's a 6 letter word, btw. 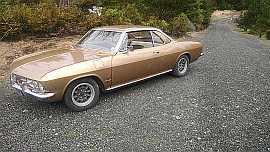 My wife says no more Corvairs as have sold 10 and still have a dozen left to work on. 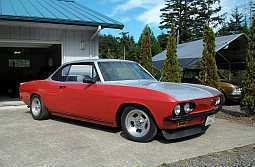 400 some cars for sale there, Corvairs are mostly the first day. Sounds like a lot of people just don't understand concepts like "original" vs "restored stock" and what the word "patina" really means to original cars. The truth is that nice, well-preserved original cars are the fastest appreciating collector cars on the market today. People who are really into factory stock cars have finally realized the truth in the statement that a car is only original once, and that no matter how expert a restorer is at his art, no one can really duplicate the way the factory assembled and built every car. And in the process of preserving historic value, one has to realize that just in ageing artifacts gain a certain "look" that cannot be duplicated. THAT is patina. Normal wear-and-tear is just that, and should be kept to a minimum as much of it can be prevented. But there is no avoiding patina, as simple ageing will be there regardless. And that is what makes a well-kept original worth the extra bucks. Now that's just mean. Not everyone can afford a fully restored car, or worse, to fully restore the car. Just because they are enjoying the car as is does not make them lazy or poor. Canadian Mel is just one of those guys who believes that you should not own a classic car if it is not perfect. That doesn't make him "mean".
. Just WRONG ! ! ! > kept to a minimum as much of it can be prevented. > well-kept original worth the extra bucks. Sometimes it's a question of opinion, other times (and it seems like it's more often than not) the seller is just a flat out liar. I looked at an "all original paint" "absolutely no rust whatsoever" car that had sheet metal screws holding sheet metal patches all over it with sloppy spray can paint and several large external rust holes. Liar! Do they think they are such a good salesperson they will sell it to you anyway? A car with faded or worn paint to the point of surface rust is patina. A car with rust through or structural damage from rust has gone too far. The whole patina thing has allowed a lot of folks to bring their cars out without being ashamed. Same with primer or flat black. I can see where it would make it frustrating when trying to find a car. I don't have that problem as they seem to find me. I can appreciate a 60s car that doesn't have a perfect paint job in a vivid color with sporty wheels and wide tires. I can also appreciate one that does. I really appreciate a car that's nice and solid and safe underneath where you can't usually see it. I could probably whip myself up into a rant about cars that look really good but you go to work on them and it's hack job city. It's hard to explain to someone when their pride and joy isn't all it's cracked up to be. A shiny car that you can't even jack up gives me a Mel Brooks sort of High Anxiety. Here is one with the P word. The patina extends to not having any front floors. Edited 2 time(s). Last edit at 09/10/2018 05:47AM by Darrin. > to not having any front floors. At least this guy states it in his ad that the car has no title. I've seen them listed as having a title, asked on the phone if the car has a title, only to find after looking at the car that there is no title. "For Vehicles 25 Years Old or Older TxDMV will determine and assign the bond value and Appraisals less than $4,000 will not be accepted." Why would anyone want to go through the hassle? Especially for a car that is worthless. I didn't realize it had the $4000 minimum. Good info to have. Thanks Tom!